If you haven’t redesigned your site yet, chances are that process will come your way soon. We have compiled selected suggestions from web professionals behind some of the most magnificent, recent, successful website redesign. 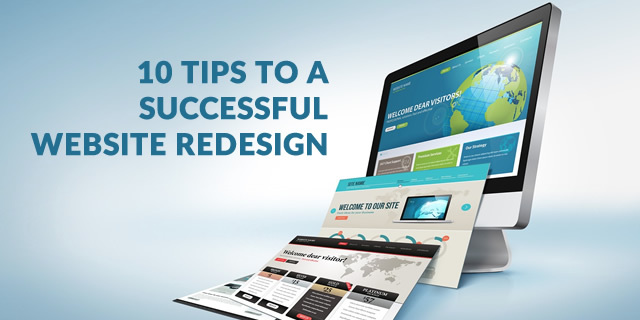 Here are 10 Tips to A Successful Website Redesign. These tips that follow are sure to make this project much easier. 1. Define Strategic Website Goals. Proper planning is the first key step for a successful website redesign. If you have had a website up and running for at 6 months you should know by now what is and is not working with your website. Using this knowledge, come up with a list of goals and expectations for your redesign. Clearly defining the purpose of the redesign in writing also helps many companies avoid hostilities from the previous designers and staff contributors. Usually, there are very strong reasons for taking on a website redesign project, and being able to articulate it easily and clearly will surely save you a lot of grief. Would you start to remodel your home without figuring out the needs and wants of you and your family? The same holds true for a website redesign project. Do your homework and find out as much as possible about the current state of your website. This can be done by analyzing sales, web traffic statistics, and most importantly, feedback from users. 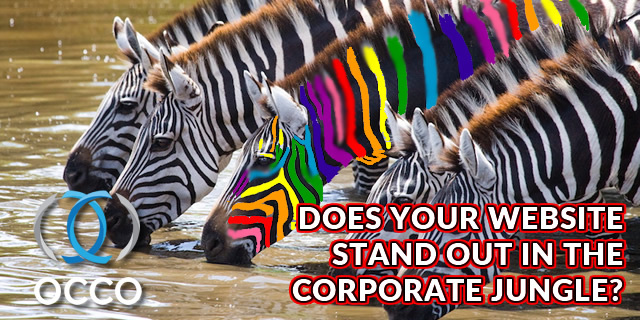 Additionally take some time out to study your target audience. Setup focus groups, usability test, and even online surveys. If possible sit down and walk through every process of your current website. Put yourself in the mind of the user and think about how the processes could be made easier. If you plan to tear down and rebuild the walls of your website, make sure you rebuild a compliant and functional web presence for company. Make sure that your website design and development team is well schooled in all of the latest design, code, and security standards. 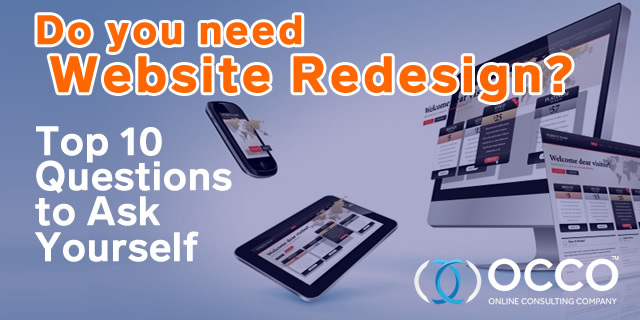 A website redesign is a project is just like any other project you would take on. It should have be clearly defined, have a budget, and allocated resources to complete the process in a timely fashion. Be realistic with your schedule and manage your expectations. Creating a too aggressive timeline will usually force you to cut corners or bypass necessary research, planning, and consultation. Content is one of, if not the most important part of your website. Once you know more about your users’ expectations and needs, start to review and reorganize your website content. After auditing your web content, you’ll be able to assess the gaps between the current state of your website and the information architecture that will best serve your users. Make sure that you have all of your content edited and ready for the website design team to review before they start the redesign. A professional website design team will analyze all of your content and create structured content flow for the design. It is important to invite feed before the redesign takes place as well as during the process, however, redesigns by democracy or by committee should be avoided. Most of the time they do not work simply because you cannot make everyone happy. Allow a professional web design team to direct the redesign and tell take their advice when deciding what can and cannot be done or what is or is not effective. Web design professionals live and breathe this stuff. They usually can see and mistaken idea miles away and can steer you in the right direction and even provide with examples of why and idea will not work. CMS stands for Content Management System. If you plan to remodel the information, navigation, design, and content on your website, and you do not have a department devoted to website design and management, you might want to find out how a content management system can benefit your company. CMS will allow the division of design, structure, and content which has many advantages through the life cycle of your website. Each area of the site can be recreated and adjusted independent of the other areas. The design layer can be completely reworked for a new user interface without the need for any adjustments to structure or content. The structure can be adjusted for additional functionality with no changes required to design and content. Content can be changed with no need to adjust the front-end design or functional structure. A good CMS like Wordrpress makes it easier to maintain your website and also enables it to seamlessly syndicate content. In addition to syndicated content, a good CMS will make your next redesign implementation very simple because you can focus only on redesigning the templates used by the application to produce hundreds or even thousands of pages on the fly. No website design or redesign project is complete without question and answer testing. Ask your design team to provide you with a map of your entire website. This map is your blue print of entire flow of the website. Then make sure that your design team or multiple members of your staff walk through every page, link, form, and process on the site. Before you make a press release or begin marketing announcements to promote your new site do a soft launch or beta testing. This will help you cure any glitches and design flaws before it’s the masses. When it comes to redesign, bigger isn’t always better. Major overhauls often generate a lot of resistance from constituents and can even upset your most fervent users. That’s why some major names on the web, such as Amazon and eBay, don’t redesign their websites anymore. They prefer to roll out any major changes slowly. Small changes done in phases prevent these companies from disorienting or losing their customers. Another benefit of design phases is the benefit to your budget. Most of the time, small changes can be implemented quickly by your design team and cost less. The incremental design process also helps you test new ideas and concepts. The advantages of hiring a web design company far outweigh the benefits of creating your website on your own. Doing it yourself is time consuming and not in your best interest. Professionals have the experience needed to develop a website that is both functional and visually appealing. 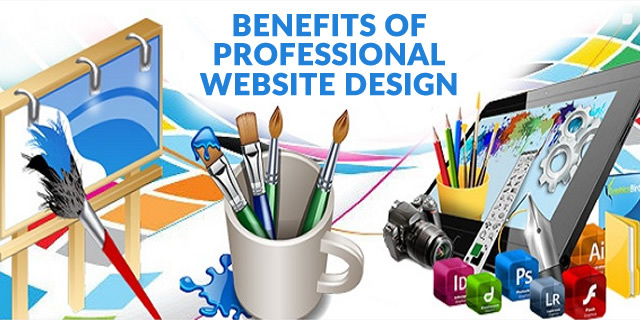 It is important that a website be designed in a way that will generate many visits. The reason people spend money hiring professionals to develop a website is simple; they want their website to be the best. In order to have a great webpage you want it to be visited by many people and you want it to be at the top of every search engine. By creating the website and placing it at the top of search engines you will increase the productivity of the webpage quickly. Web design is important because it is a key part of a businesses marketing. The web page needs to be functional and aesthetically pleasing to the user. You need to convey the details of your business to the designer so that they can build your site so that is easy to navigate through; so that your customers enjoy using it. Not only does hiring a professional give you the expertise needed it will also save you a lot of time. Professionals who design web pages regularly have the ability to get the job done quickly which means that you will have your website up and running in a timely manner.